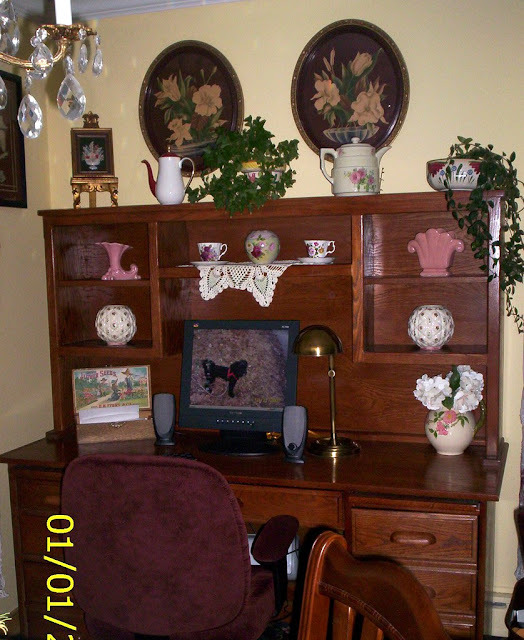 In 2003, I purchased my Eagle Industries walnut stain, double pedestal desk with hutch. I needed it for my Dell computer tower, monitor and keyboard. Little did I know then that the desktop would become somewhat of a dinosaur, and the smaller laptops and all in ones, and iPads would become the newest trend. 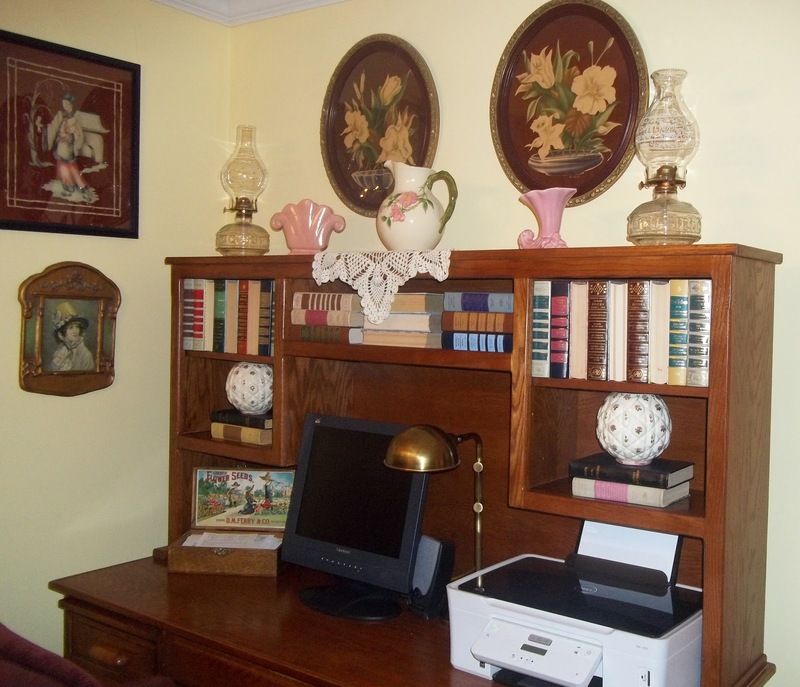 I like the transformation, BUT I am thinking about painting the desk. What would it look like in white? Annie Sloane chalk paint? This is the new look. I used quite of few of my Reader's Digest Condensed book collection (that came with my house 21 years ago). I love it except for the printer/scanner. I think my look is English Country but maybe mixed with a little Grandma Chic. My mail box, a vintage DM Ferry lithographed, dovetailed seed box. A very special possession. 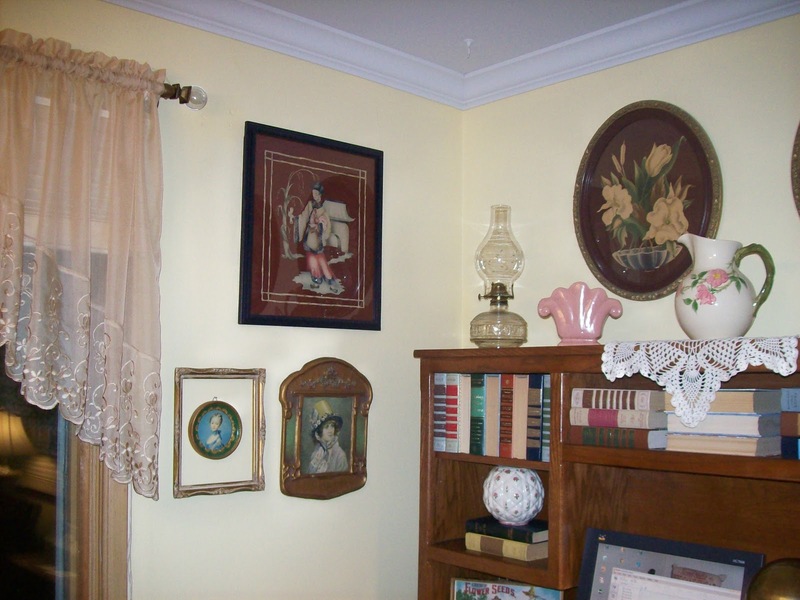 I love the new look, books, vintage pottery, and oil lamps! I like your new look. I've just done something similar, with my entertainment center and desk..more books and basket storage, and a little less decorative things. Thanks Babs. It's fun to change things up a bit. 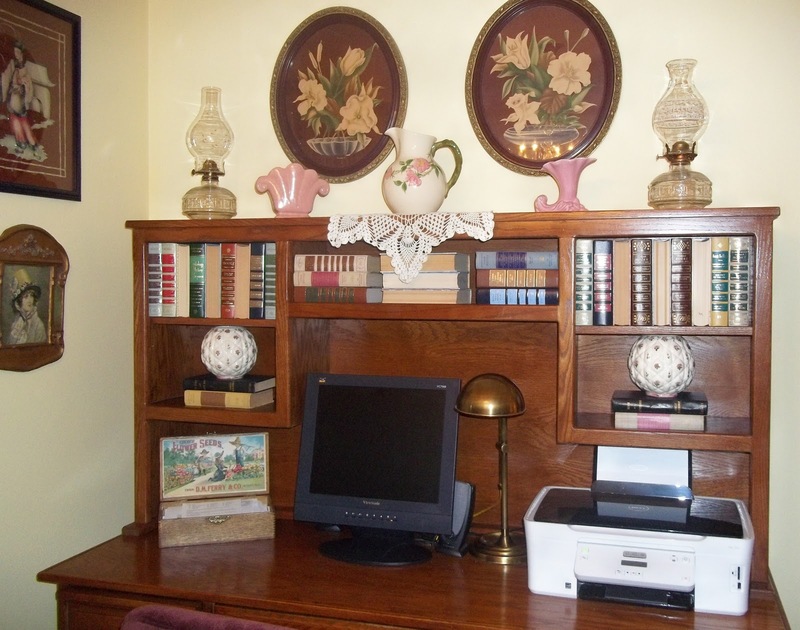 I LOVE the look of the Reader's Digest collection. Nice job. I like the new look and I liked your suitcase vignette too. 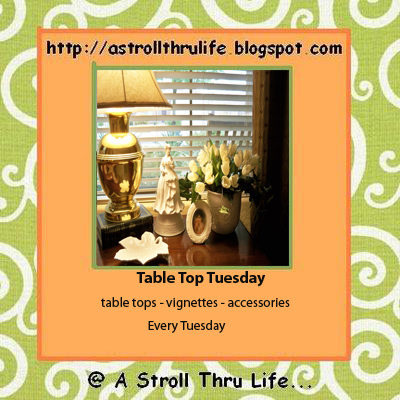 I liked it so much that I have featured it today at my NIFTY THRIFTY TUESDAY PARTY...please feel free to grab my starfish feature button for your blog. Thanks Linda, my first feature. I love this look! I can tell that our styles are similar. I am signing up to follow you and I will list your blog on my blog roll on my regular blog, Debbie-Dabble. Thanks for visiting Debbie. I have become a follower of your blog too!